Anyone looking to innovate within their organization or industry might be forgiven if he or she got a headache trying to follow the so-called ‘rules of innovation’. This is mostly because these very rules have a tendency to contradict one another. As both Mr Watson and the Economist note, larger companies are more likely to be successful innovators. This is largely due to their vast resources, which gives them the power to invest to pursue ideas. It is also due to their focus on efficiency and incremental progress, which allows them to innovate slowly without getting too far ahead of the curve and scaring off the “fundamentally change averse” market. But, at the same time, innovation can just as much be beginner’s luck, according to Business Week. A larger company tends to attract the risk-averse rather than rule-breakers, and this tends to mean it will hire experts within its own industry to find ways to innovate its operations or systems, or solve its problems. It would seem illogical and risky to hire someone who is markedly inexperienced in your field to be in charge of moving it forward. And yet, there exist dozens of examples of innovation originating from people who had little to no previous experience in the industry (eBay, Netflix, etc.). This does help to support the notion that innovation is random. Nevertheless, at the end of the day, there are still tips (if not rules) that companies can follow to help boost their chances at successfully innovating. Collaborating with other firms and bringing in people from various fields brings new perspectives and greater overall knowledge capital to the firm or project. The myopia of experts (“…can’t read the label if you’re sitting in the jar”) within the field limits their chances at substantial or revolutionary innovation by restricting an outside perspective. By using experts from outside your industry, the paradigms of your industry are challenged and you likely get more unique solutions from your problems. You may well be injecting some beginner’s luck into your own company. Etienne Bruchet is a University of Toronto student in the Communications, Culture and Information Technology program. He is currently completing his Specialist major in Digital Enterprise Management. 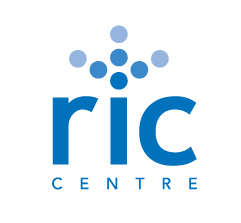 He works as a Webmaster and Marketing & Communications intern at the RIC Centre.